How many of you have felt that you need to cleanse and detox your body and mind and start your health and skin care routines afresh? In this busy world, where we spend our time watching YouTube videos on healthy living, but hardly have time to do so in real life, a detox is what we all need to put ourselves into new healthy routines. In Ayurvedic medicine, one of the most popular as well as effective healing technique is the Panchakarma. Panchakarma, the Sanskrit word, means five treatments. This five-treatment process helps in cleansing your body of toxic materials and rejuvenating your vital organs to function at an optimal level. Panchakarma also has a positive influence on your mental health. Who can undergo or experience Panchakarma? Anyone and everyone can undergo Panchakarma. Panchakarma is a highly personalized treatment. The treatment is designed based on your health history and unique requirements. If you are a healthy individual, taking up a Panchakarma treatment once or twice a year will help you to maximize health and prevent diseases. If you are suffering from chronic diseases, you can undergo the treatment twice or thrice in a year. It would help you in cleansing your system and restoring health. While in general, the treatment is advisable for people between the age of 18-60, infants and senior citizens can undergo Panchakarma if they are infected by any disease that has left or is leaving toxic residue in their body. What are some of the treatments that are done in the Panchakarma process? Abhyanga is a powerful way to remove stagnant waste and improve the blood circulation. This massage therapy is performed with herbal oils that penetrate deep into your skin to relax your body as well as your mind. Abhyanga helps in internal healing. This dry wool/silk brushing on body enhances the circulation of the oil from Abhyanga. The therapeutic specialist performing this treatment will apply the right amount of pressure while brushing on the important joints and nodes in your body. This is an herbal steam bath where your body is exposed to moist steam. This procedure helps in removing toxins from your skin while keeping your mind calm and relaxed. In this improvised version of four-hands massage, a continuous stream of steamed herbal oils is poured all over the body, which is then massaged onto your skin by two experienced therapists. 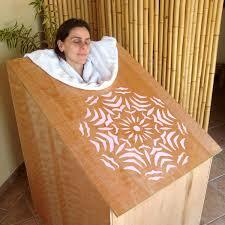 This is done to relax tissues and remove any kind of toxins and waste from your body tissues. This massage is done with herbal pastes instead of oils. The purpose of this massage is to exfoliate your skin for skin brightening and radiance. This is nothing better than an herbal enema to remove the toxic wastes out of your body through bowel movements. This is considered as one of the most powerful treatments in Panchakarma. In this procedure, some herbs and oils are poured as nasal drops. This process is effective in treating sinuses and removing accumulated mucus. This is a herbal massage procedure that concentrates on face, head, neck, and nose. It has a calming effect on your mind and body. It is very beneficial in treating stress-related diseases and depression. One of the final procedures, Pinda Swedana uses rice boiled in milk and herbs for massage. This therapy helps to rejuvenate your soft tissues, tone up your muscles, relieve joint pains, and counter many diseases. Apart from these procedures, other therapies in Panchakarma include Netra Tarpana, Kati Basti, Marma Massage, Karna Poorana, Pada Dhara, etc. These procedures are special therapies that concentrate on different parts of the body that are directly impacted by any malady. One of the most interesting parts about the Panchakarma is the Five Senses Therapy. During all these treatments, the five senses of humans are tuned to work in concert. To enhance aural senses, Vedic hymns are played in the background, every marma point is massaged on to augment the sense of touch, herbal medicines are provided to purify the sense of taste, color therapy is provided for visual senses, and usage of aromatic herbs and oils improve the sense of smell. What benefits does one get out of Panchakarma treatment? Apart from the obvious flushing out of toxins, the procedure helps in rejuvenating your physical as well as mental health. You will realize that you are a new individual both physically and emotionally. In a study published in Nature: Scientific Report 6 (2016): 32609 it was found that a mere 6 days of Panchakarma treatment showed intriguing improvements in a range of sophisticated metabolic measures that reflect that the genes are guided to express in beneficial ways. If you are looking to change to an Ayurvedic/Organic lifestyle from a modern one, starting it with Panchakarma can do wonders. How do these toxins get flushed out/is there any form of surgery? No, there isn’t any form of surgery involved. Panchakarma is a 100% non-surgical, natural healing process. The toxins get flushed out through bodily functions like bowel movements, urine, and/or sweat. 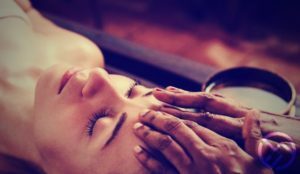 How much does a Panchakarma treatment cost? It starts at a price range of Rs. 10000 onwards. The total cost would depend on the place and the treatments based on your health condition. If you are looking to have one detox treatment that will improve your health for good, Panchakarma is the one. Do you serve in Lucknow,if yes give the phone no. No, we are not present in Assam. Even then we can suggest someone reliable. Do let us know your requirements.